The government has made a loss of just over £2bn after selling another tranche of shares overnight in Royal Bank of Scotland. The taxpayers’ holding in the bank will fall to 62.4 per cent from 70.1 per cent as a result of the share sale to City institutions. Asked by the BBC’s Today programme about the loss to the taxpayer of the share sale, John Glen, the Economic Secretary to the Treasury, said the return was “based on the reality of the situation that RBS is now in”. “They’ve gone from operating in 38 countries to nine, their total assets have fallen significantly, and it’s a completely different institution to where it was 10 years ago,” he said. Mr Glen said now the bank was in a “much healthier position… and the taxpayer needs to receive some of that money back”. “I would love it if we could sell the shares at a much higher price. Obviously that is what everyone would like to do, but we need to be realistic and look at the market conditions,” he added. UK Government Investments, which manages taxpayers’ RBS stake, said the sale had raised £2.5bn. Chancellor Philip Hammond said the sale was “a significant step in returning RBS to full private ownership and putting the financial crisis behind us”. “The government should not be in the business of owning banks. The proceeds of this sale will go towards reducing our national debt – this is the right thing to do for taxpayers as we build an economy that is fit for the future,” he added. 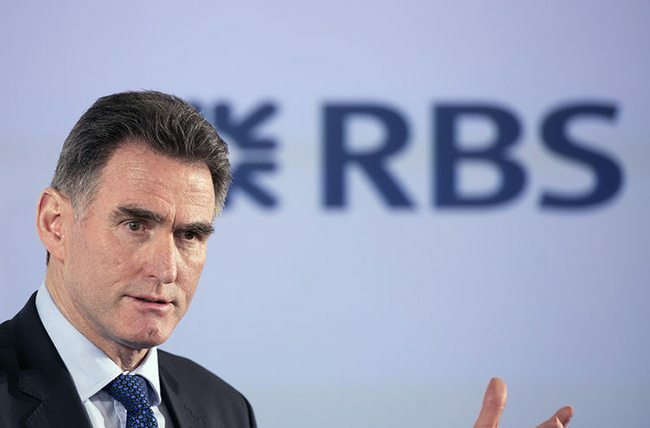 RBS chief executive Ross McEwan (pictured) said the sale was “an important moment for RBS”. “It also reflects the progress we have made in building a much simpler, safer bank that is focussed on delivering for its customers and its shareholders,” he added. In February, the bank reported an annual profit of £752m – its first for a decade and a sharp turnaround from the £6.95bn loss seen the previous year.